Pastor Tom Sabens has been serving the Christian Church for over 4 decades. 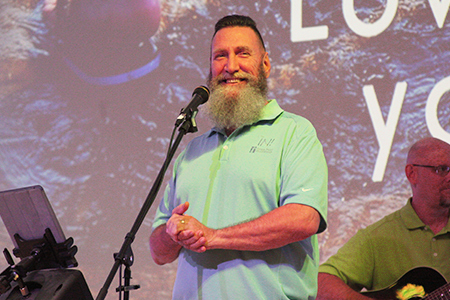 A graduate of Ozark Christian College and Hope International University, Pastor Tom’s calling has been to start new churches and to help struggling churches become healthy and grow. His latest church plant is Grace Point Fellowship (GPF), founded in 2015. Prior to GPF Tom founded Table Rock Fellowship in Medford, OR, where he served for sixteen years as lead and teaching pastor. Pastor Tom has been married for 42 years to his bride, Jane. They have three daughters, three awesome son-in-laws, and seven adorable grandchildren. They all live in the Medford area. 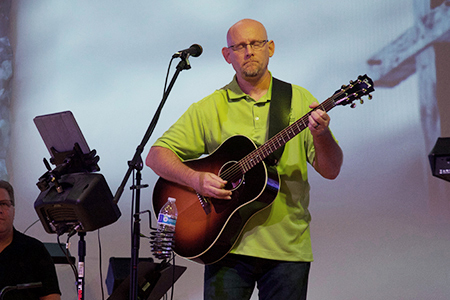 Raised in Southern Oregon, Jim Durham (Jimmy) began his pastoral career in 1994 while attending Joy Christian Fellowship where he discovered how his passion for helping people integrated beautifully with his gift of music. Pastor Jimmy is currently the Worship and Associate Pastor at Grace Point Fellowship where he is widely respected for his inspiration, musicality, and pastoral ministry. While weekly worship is his primary function, in his off hours you’ll find Jimmy spending time with his family including his wife, Jennifer, and 5 amazing children. Since 1984, Pastor David Prince has been serving churches and non-profit organizations in the roll as Treasurer. With a particular specialty for setting up new churches or organizations, David has assisted in the starting of 12 churches in Oregon, Idaho, and California since 2008. With a degree in BS in Business Administration from University of Redlands with minors in Accounting and Human Resource Management from University of California San Diego. David’s corporate roles of controller/financial management prepared him for his ministry work in assisting church leadership and members in becoming fiscally responsible. In his free time you will find David and his wife, Janet, traveling to their home state of Massachusetts or venturing oversees to Italy to fulfill their wanderlust. 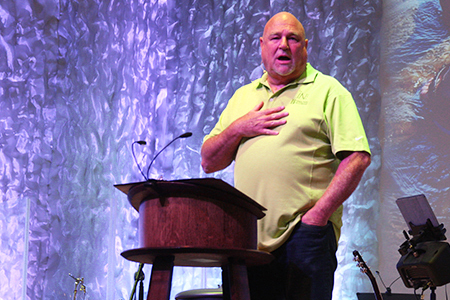 Passionate about youth, Pastor Derrick Purl’s ministry began in 1997. With a BA from Northwest Christian University, Derrick was ordained at First Christian Church in Marcola, OR. Whether he’s overseeing volunteers, inspiring teams, or creating exciting youth programs, Youth Ministry is Derricks first love. Perhaps a kid at heart, Derrick’s self-proclaimed “Jedi” teaching style inspires, motivates, and encourages youth to be their own personal best. At home you’ll find Derrick enjoying quality time with his wife, Tiffany and their 3 children as they explore beautiful Oregon as a family.